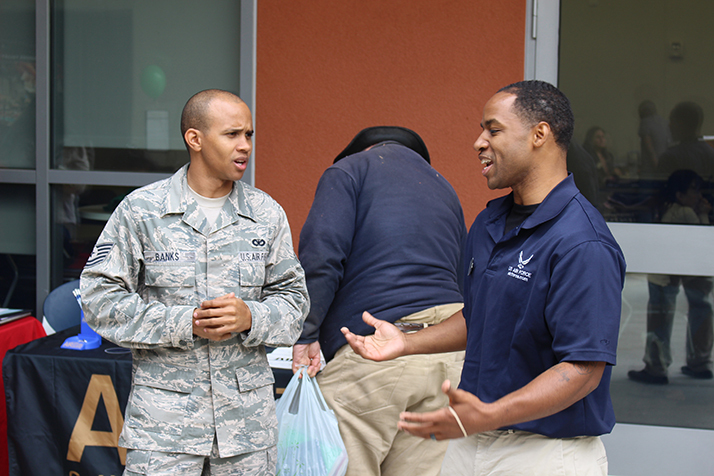 A student carefully observes a pamphlet given to him by two United States Air Force veterans. 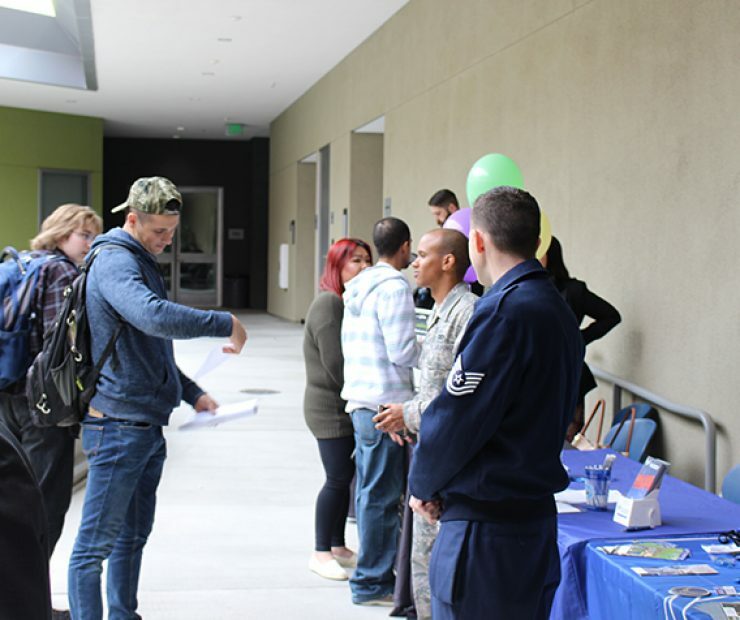 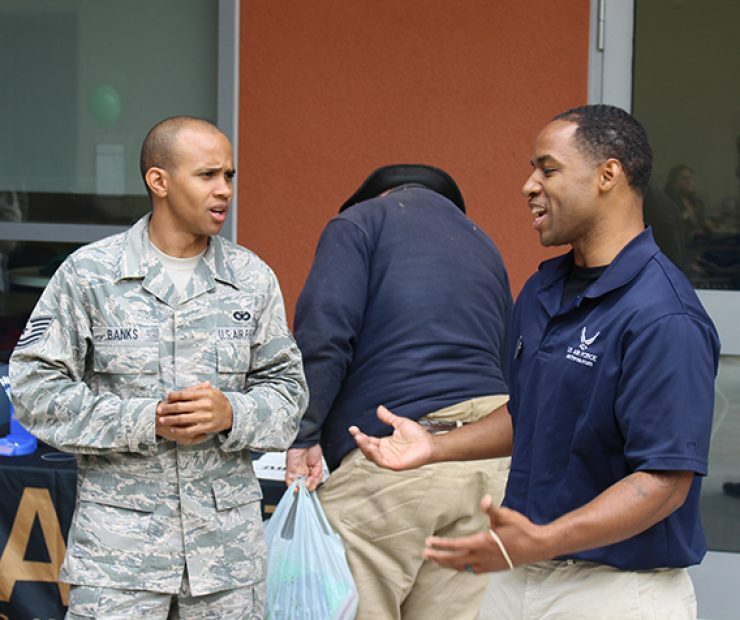 Two veterans of the United States Air Force have a conversation at the ARC Career Fair. 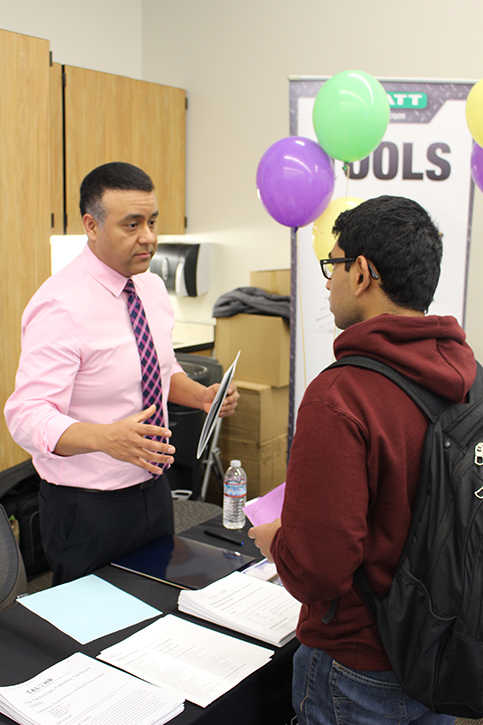 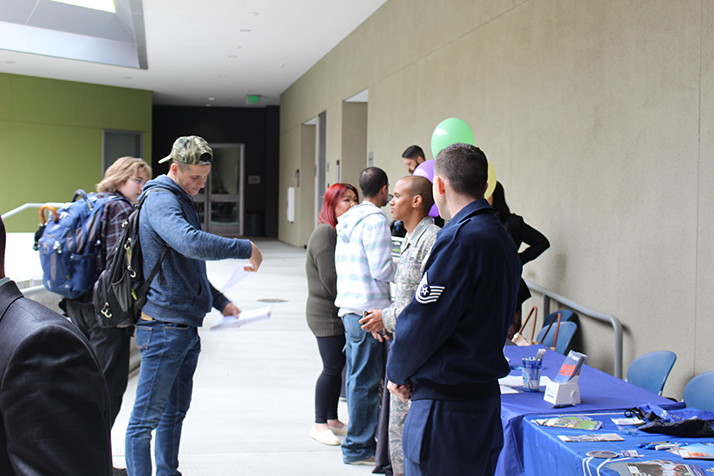 A representative of UEI speaks to students who are seeking a career path. 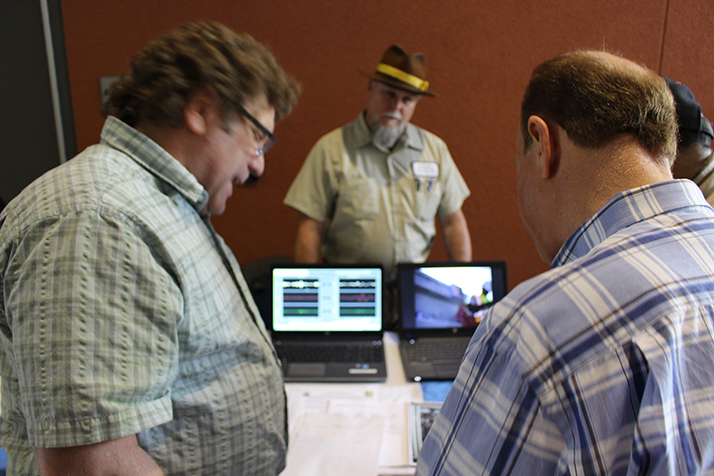 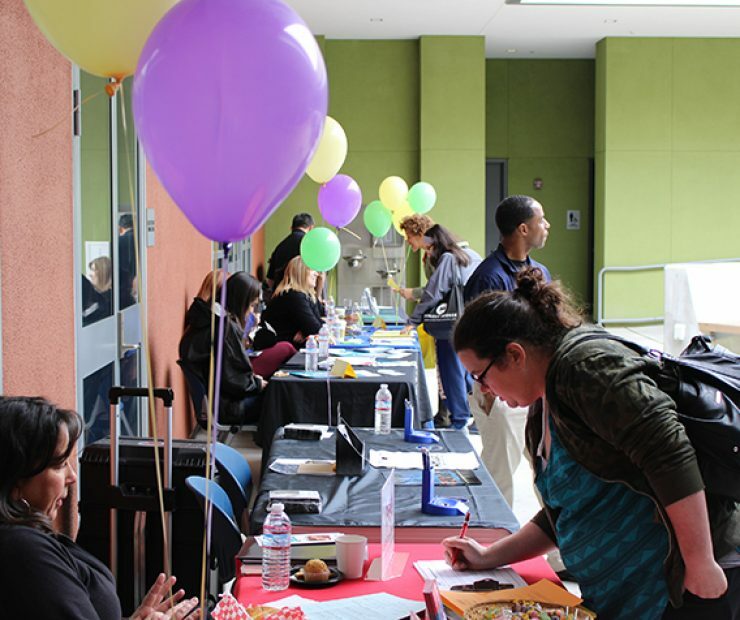 Three students navigate their way around the ARC Career Fair. 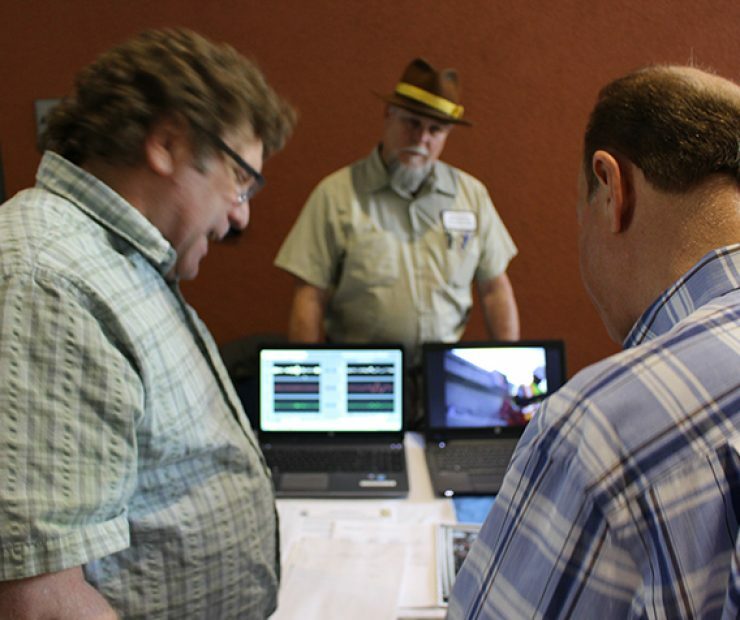 Two construction representatives speak about their profession. 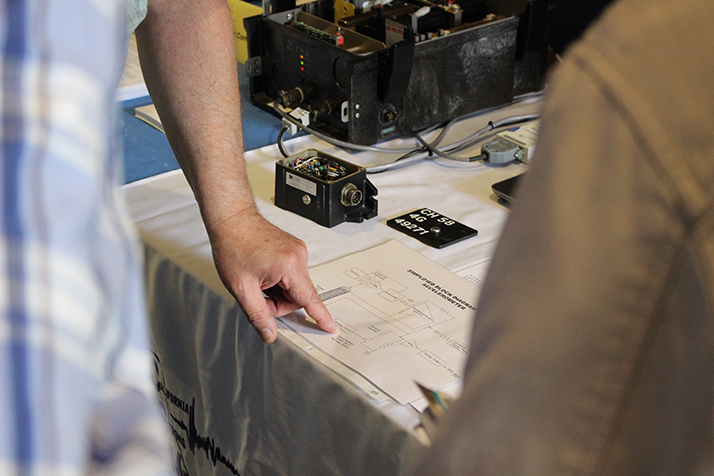 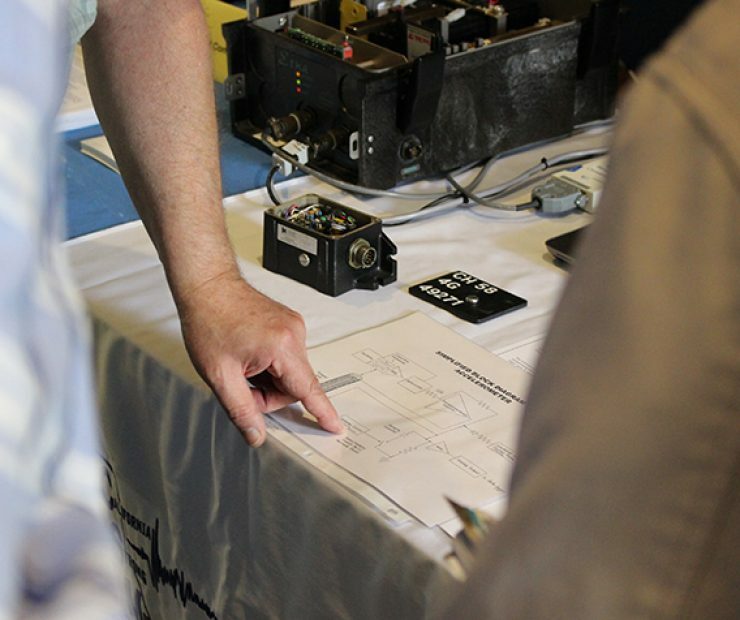 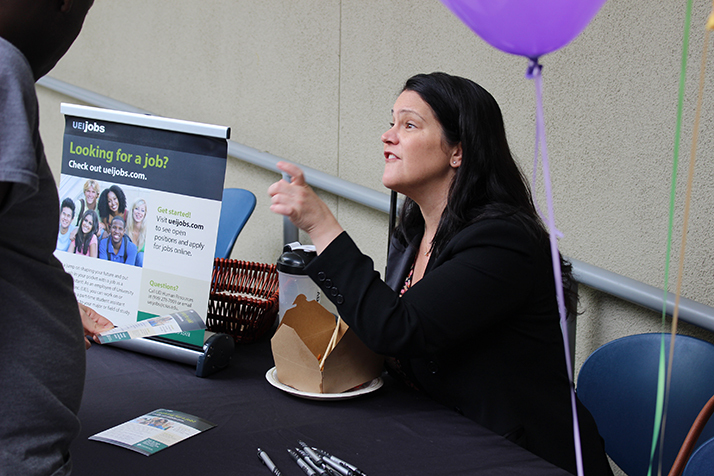 A instructor points out specifics on a diagram pertaining to the career being showcased. 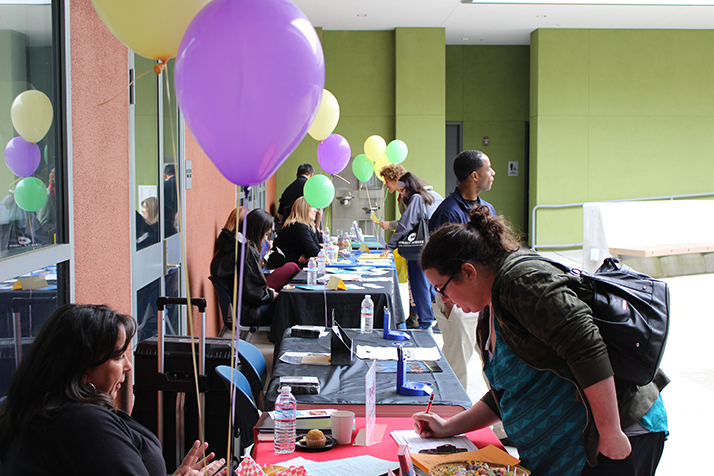 Students sign their names on lists indicating their interests in the various careers at the career fair. 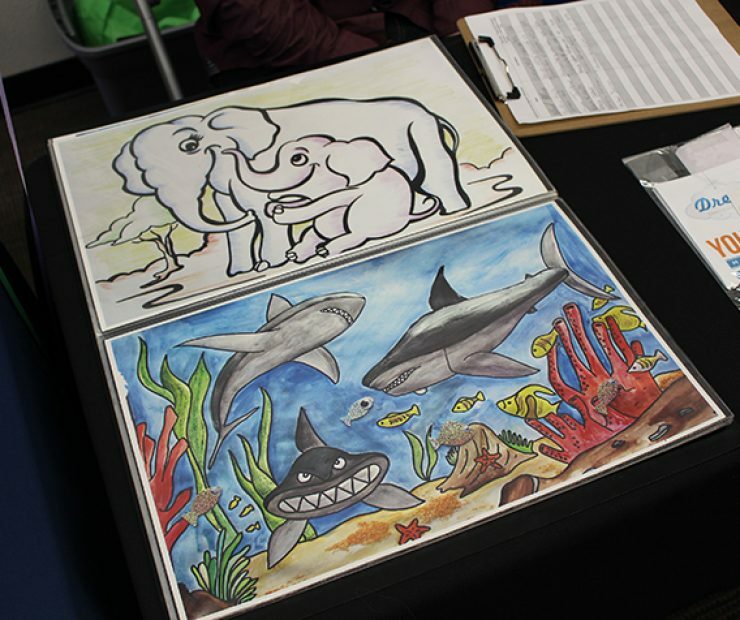 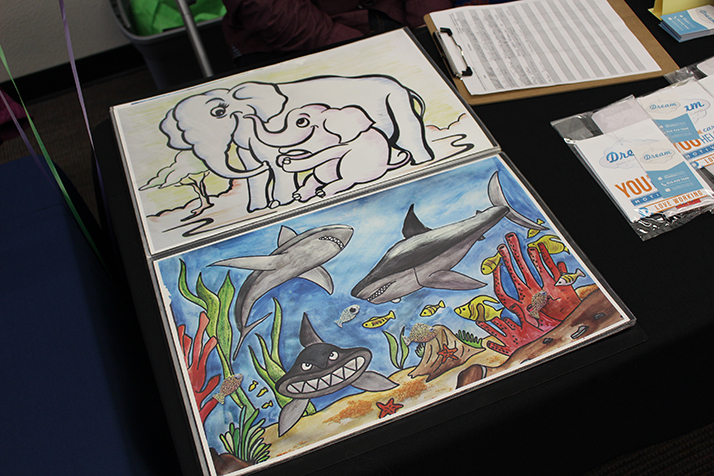 Artwork showcased at the early childhood education table. 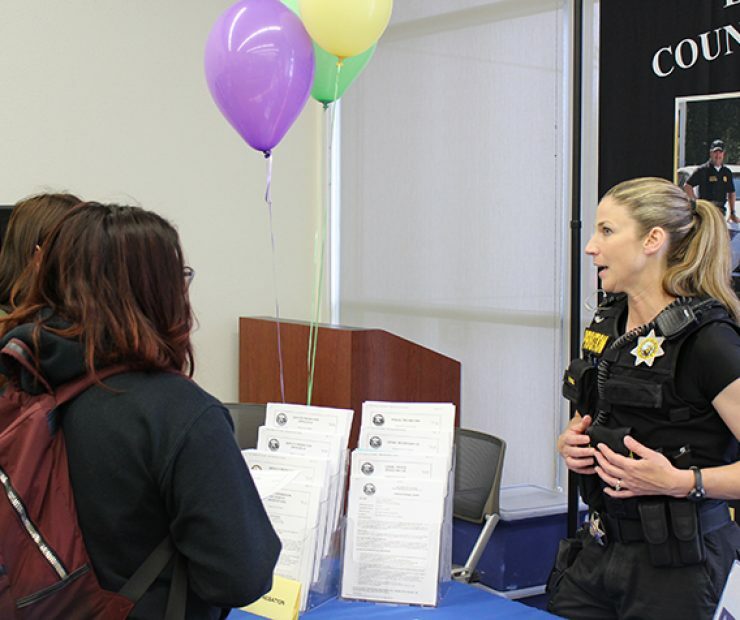 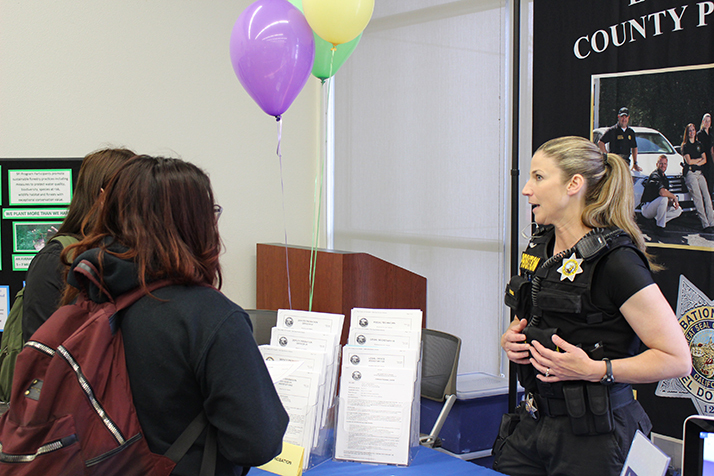 An El Dorado County police officer offers her knowledge to two students. 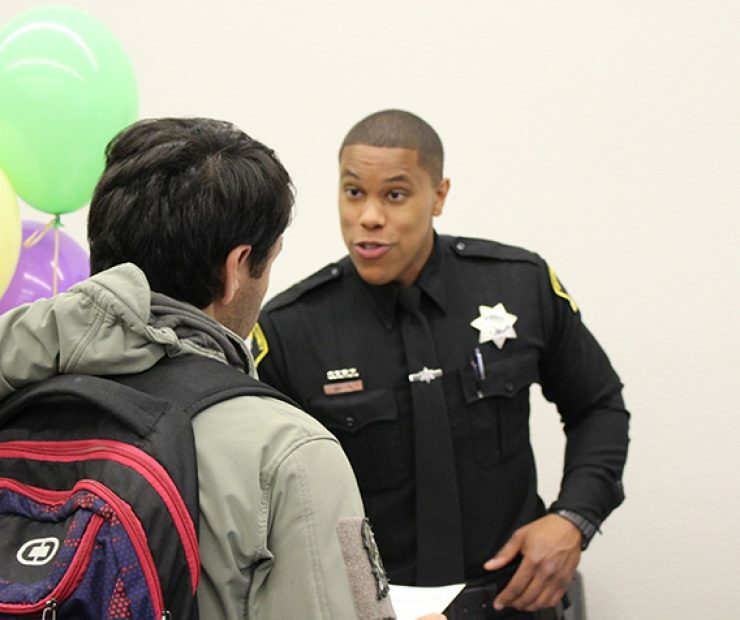 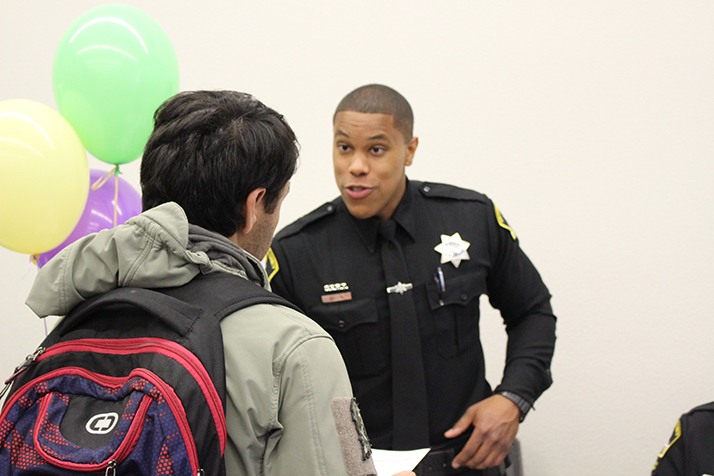 A Sacramento County sheriff speaks to an eager student. 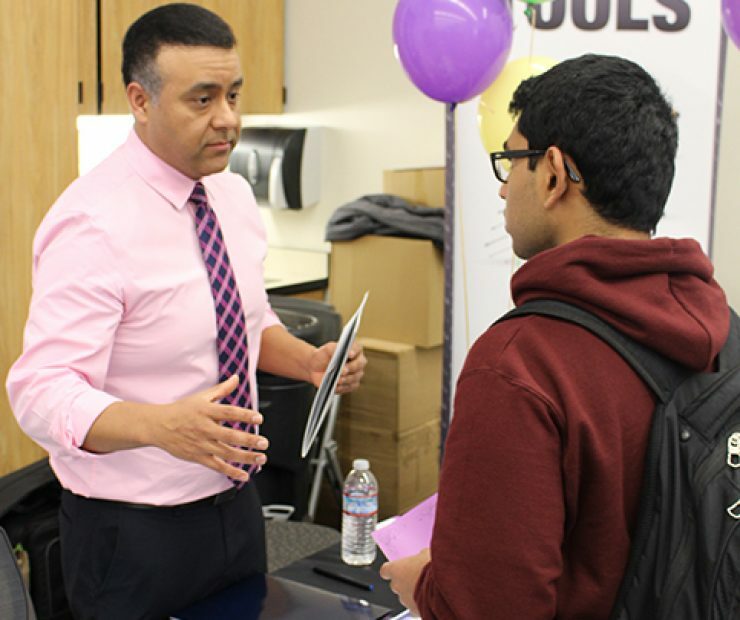 A student ask questions about what a representatives business has to offer him. 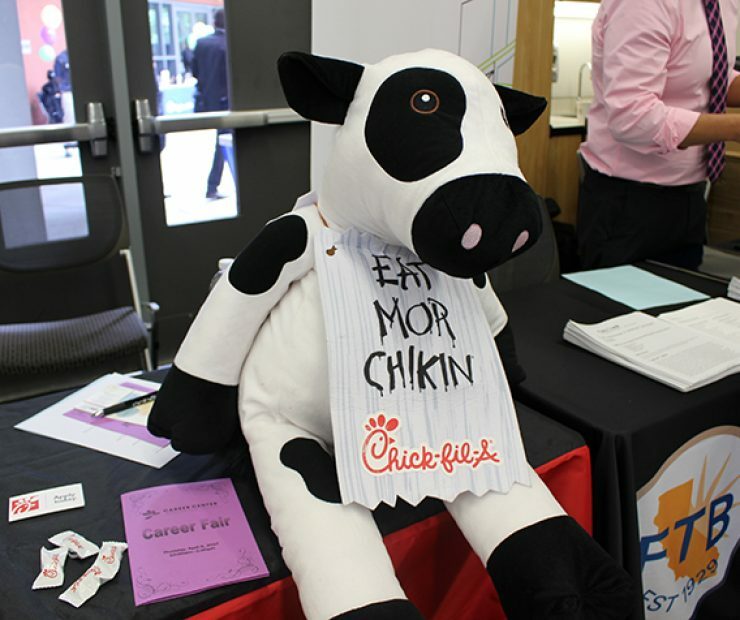 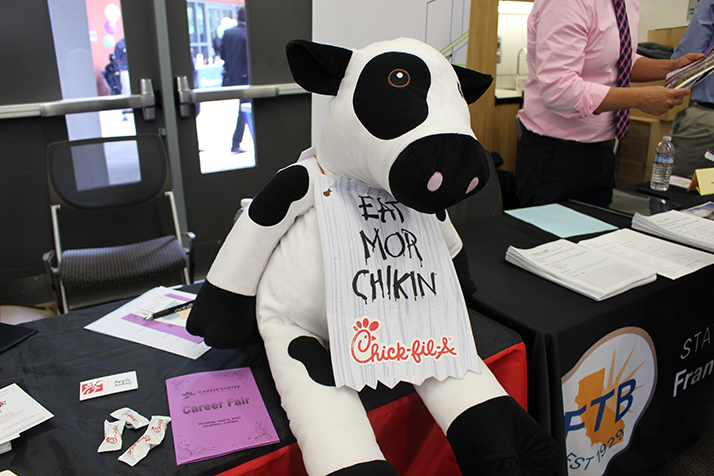 Chick-fil-a’s stuffed animal making an appearance at the ARC Career Fair. 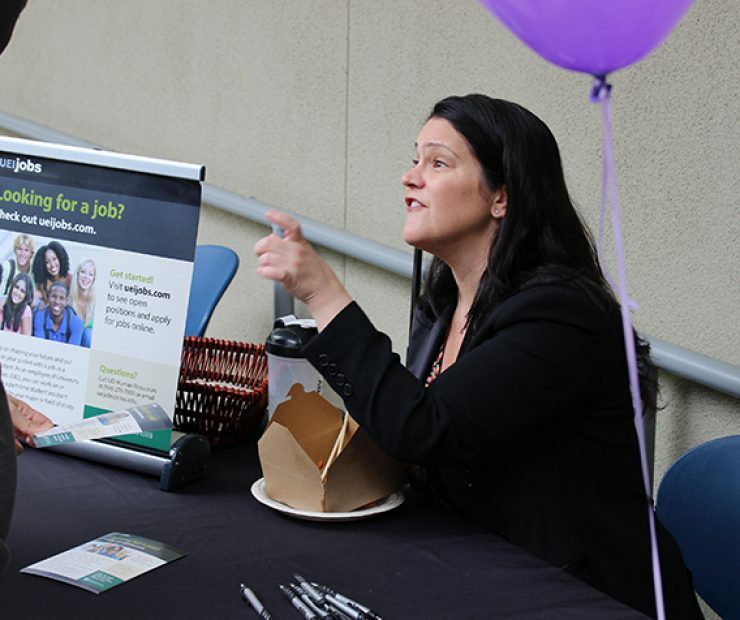 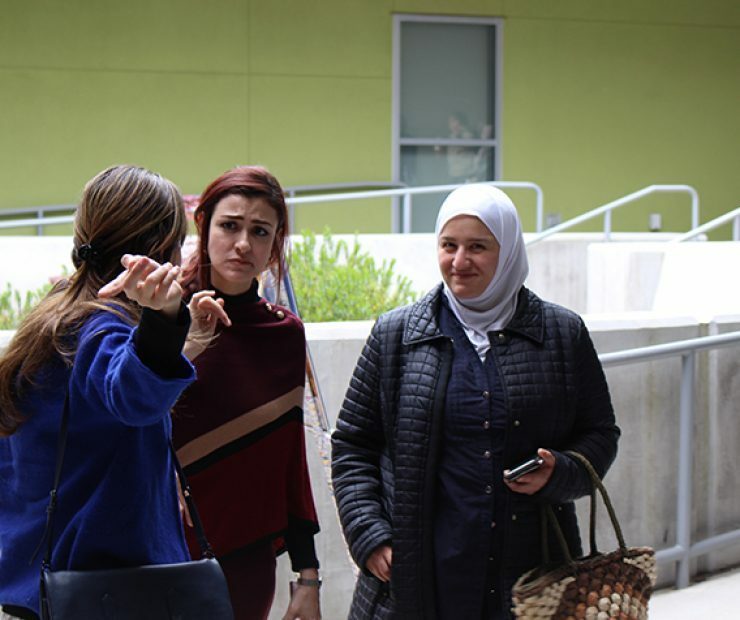 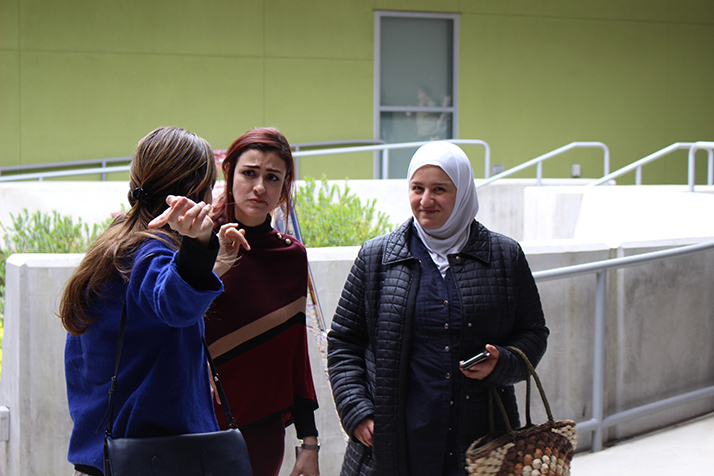 Be the first to comment on "Photo gallery: Career fair"